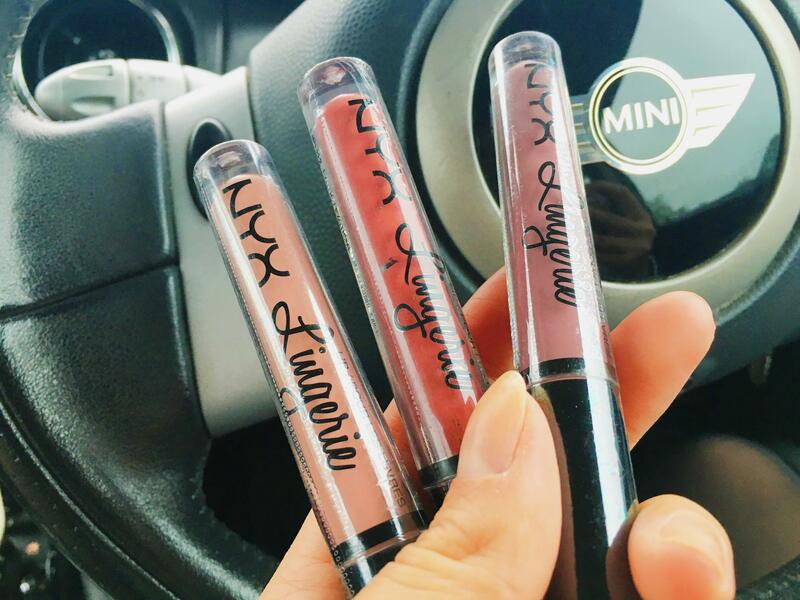 NYX is one of those beauty brands I’m slowly introducing into my make up bag. I love their soft matte lip cream and have recently been using their Sculpt & Highlight Brow Contour that I came across over on ASOS. However, although there are products that I love, I have recently been using their Control Freak Brow Gel which really isn’t working for me as I’ve noticed it leaves them looking dry and flakey and I’ve been trying to peel off the gel in the staff room toilets at work. To give NYX the benefit of the doubt, I decided to order 3 shades from their Lip Lingerie range from boots.com as their matte lip cream was a firm favourite of mine. Exotic, Embellishment and Lace Detail stood out to me the most as I was after a very soft natural looking shades. There are a number of shades to choose from but I thought I would get my use out of these the most. My first impression when I picked my parcel up from Boots was that all the colours couldn’t be any less me. These aren’t the sort of colours I was expecting as on the colour chart, they looked softer and a lot more neutral online. I tested them all out using the applicator which I think is a little difficult to use, it’s very hard and large, whereas I think a brush like applicator would be easier to use for a more precise finish. I wore Exotic for a night out in Bowness on my friends sisters hen do and I loved the look and feel of wearing it. It wasn’t heavy and it didn’t stain my wine glass which by the way is one of my pet hates, seeing glasses with greasy lipstick around the edge! I also rarely touched it up, only once after my meal and again later on in the night just to make sure my lips stood out. All night, I felt so glamorous wearing Exotic as it just suited my skin tone so well. And although it is hard to compete with the classic and timeless red lipstick, teamed with a LBD, Exotic will definitely be my go to when teaming it with a black outfit. Lace detail really doesn’t suit my skin tone so I wouldn’t recommend this to anyone with dark skin as it looks as though you’ve smeared concealer all over your lips. I’m sure this would look fab on fair skin but it just wasn’t for me. I am yet to try Embellishment as I have to be in the right mood for a dark lipstick. Although, I am excited to try it out as I loved wearing Exotic and feel as though these are great matte lipsticks for long lasting wear and make a really bold statement. Overall, I would chose to use NYX Lip Lingerie again over their matte Lip Cream as I think the quality of the product is a lot longer lasting and the colours stand out more. I perhaps just need to do some more research in to what colours would suit me most but it’s so difficult to do when shopping online! 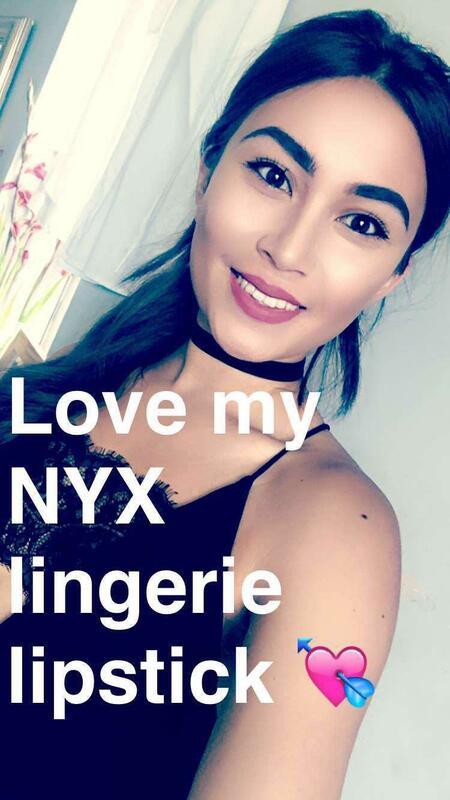 Have you tried any NYX products? What did you love or hate about them?